Potholes are the result of moisture seeping into the soil below a roads surface, freezing, and causing the ground above it to break apart. In a country where the weather fluctuates regularly, it can really do significant damage to your vehicle and to the roads. Proceed with caution when you’re driving on the road, and follow these four tips to save your car from getting damaged on the road. If it’s possible to avoid running over a pothole, do so. Maintain a proper following distance between you and the car in front of you. Usually, a car ahead of you will try and avoid the pothole, giving you a heads up on where the pothole is. It pays to pay close attention even when driving through areas that you’re familiar with. Potholes can form overnight, and even ones that have been fixed can open up again and cause damage to your car. If you see a pothole right in front of you, do not swerve to get out of the way. It’s likely that you won’t have enough time to check your surroundings, and you may cause more damage to your car by abruptly swerving out of the way and possibly getting into a collision. If you have enough room, slow down as much as possible to mitigate the damage to your vehicle. If your vehicle feels off after going over the pothole, take it to your mechanic immediately. Having your tires inflated properly is the best thing you can do to protect your vehicle from potholes. Having tires that are properly inflated serve as a cushion between your vehicle and any bumps on the road. The best way to avoid potholes is not to have them on the road. If you see a pothole that could potentially be dangerous, report it to your city. If your car is swaying and turning, your suspension may have been damaged. 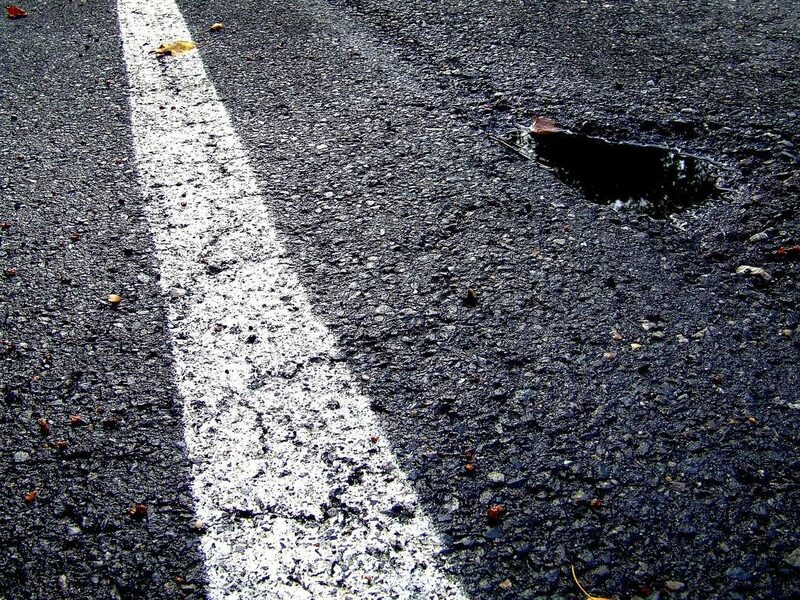 Luckily, pothole damage may be covered by your car insurance. Check with your provider to make sure you’re covered, especially if you live somewhere that has lots of potholes. If your policy doesn’t cover you, compare your current policy to others on the market. You may find one that fits you better, and costs you less.